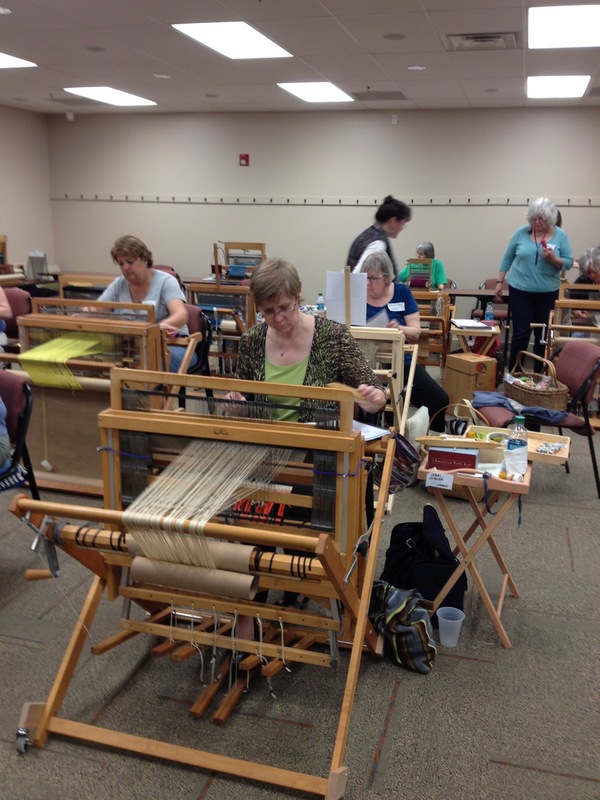 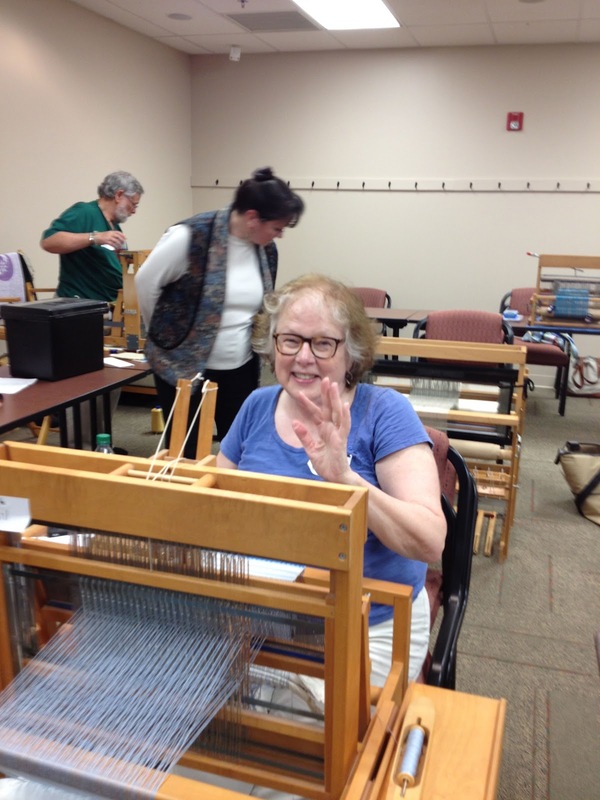 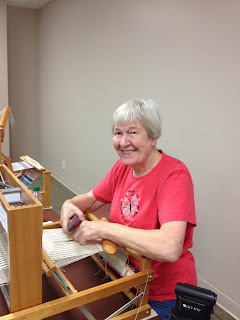 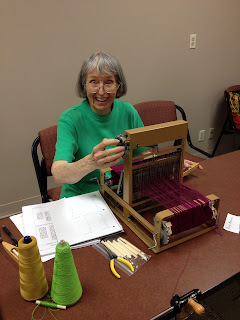 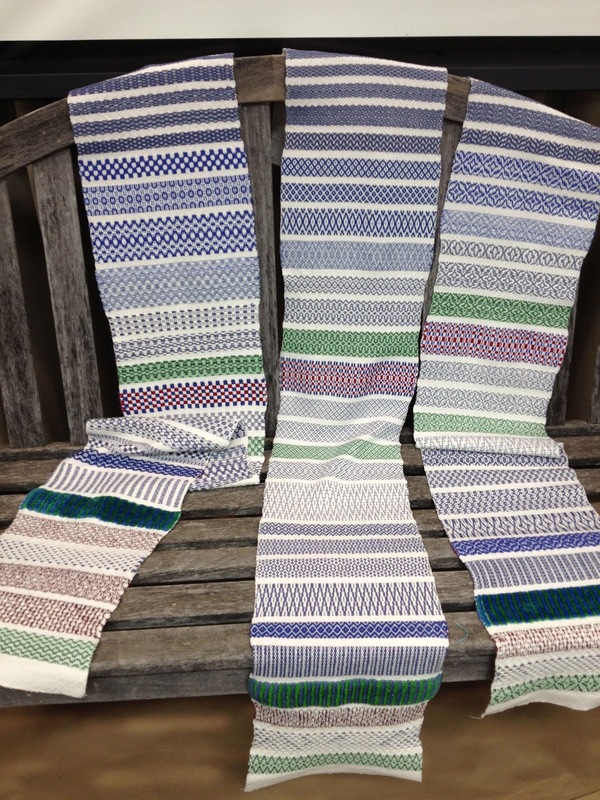 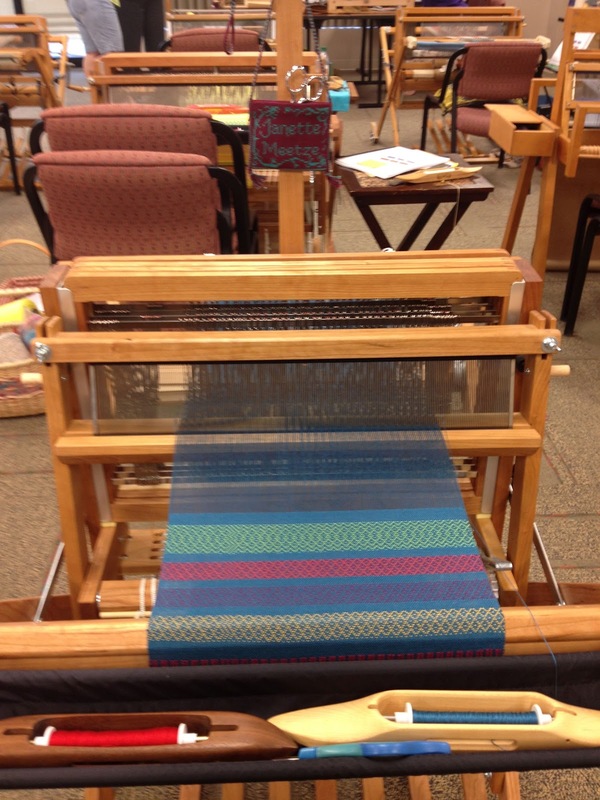 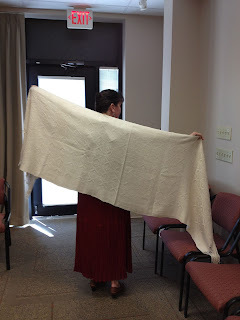 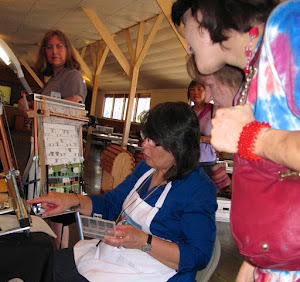 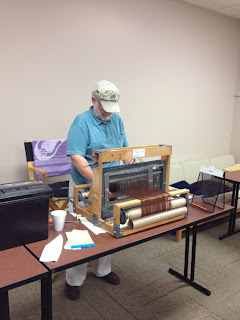 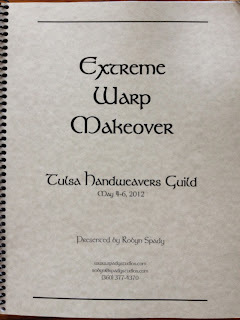 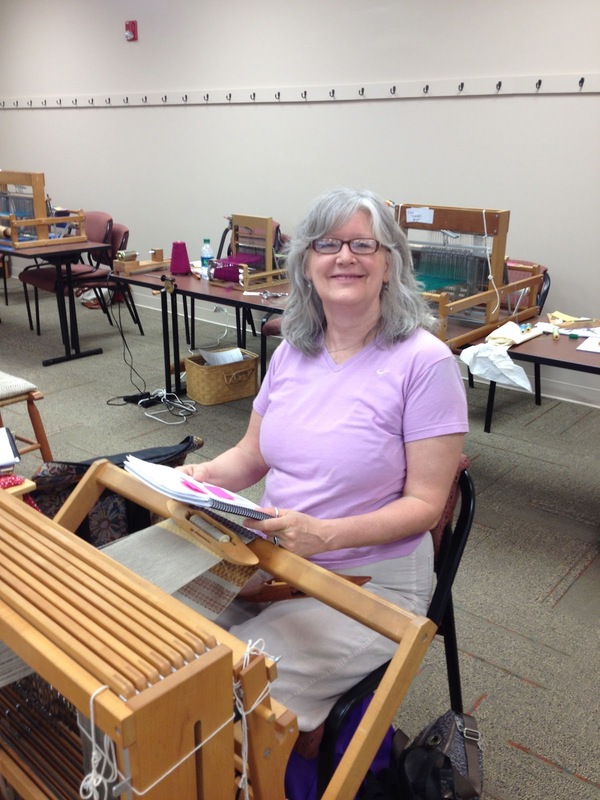 Tulsa Handweavers had a fabulous workshop presented by Robyn Spady this past weekend. 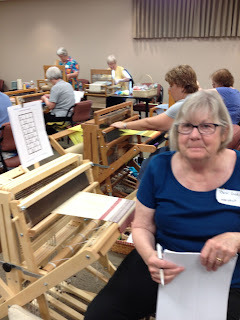 Nineteen participants were given the choice of three threadings based on Lace, Overshot or Rosepath Twill and then guided through a tremendous range of possibilities based on many different patterns and structures. 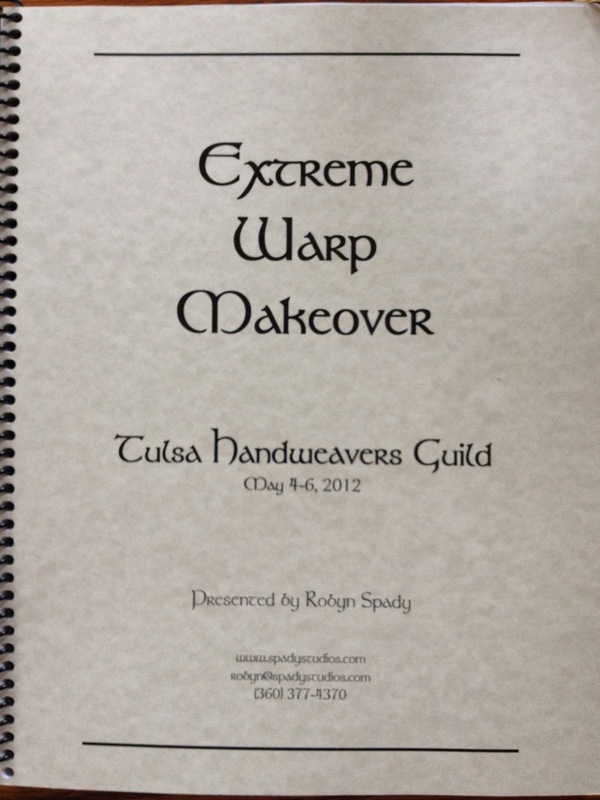 Here is a copy of the Handouts Robyn gave which will be a very helpful reference and her own samples based on the threading choices. 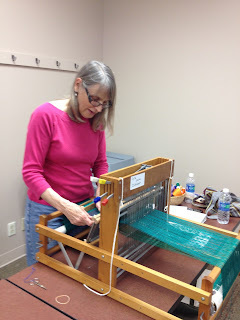 After Robyn's first presentation on Friday evening and a wonderful catered dinner we got right to work. 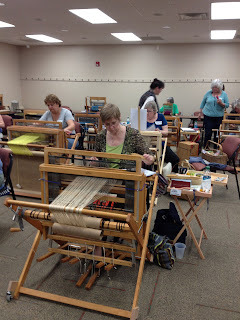 Saturday morning many happy weavers were back for a full day of weaving , excellent instruction from Robyn and wonderful food with breakfast items provided by the guild and lunch provided by the participants. 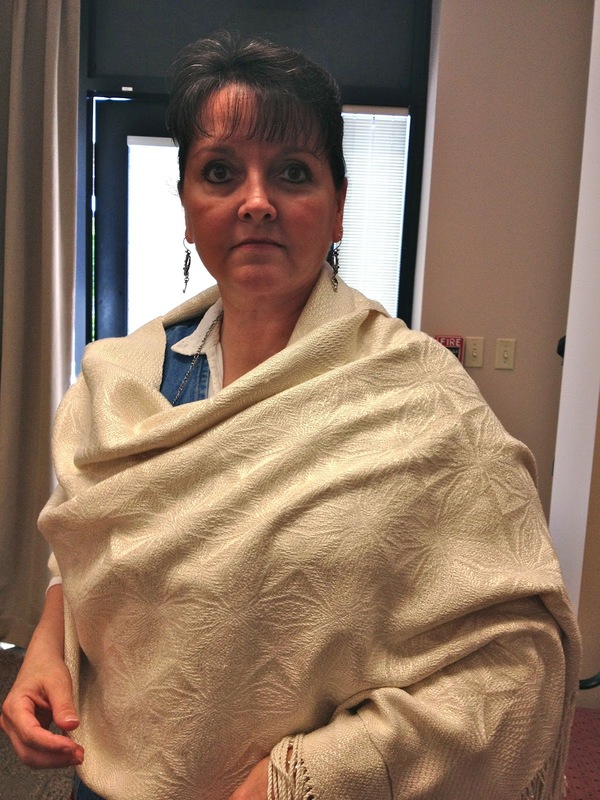 During a brief business meeting after lunch on Saturday the guild presented Robyn with an elegant silk shawl in Swedish Snowflake pattern woven by Ruth Morrisson. 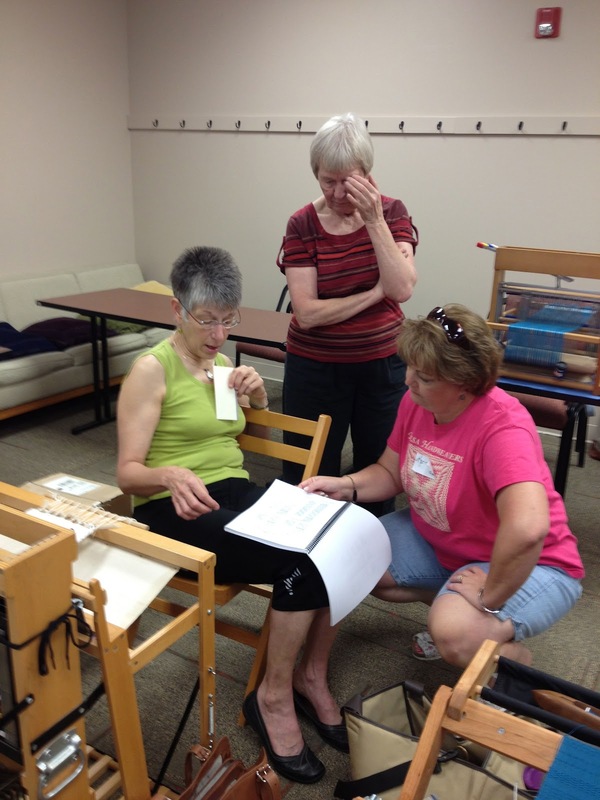 We seriously appreciate our workshop instructors! Here she is modeling it for us. Some weaving consultations and concentrated work on our samplers followed in the afternoon . 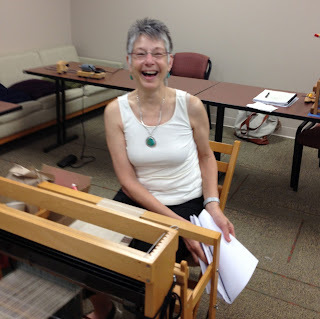 Saturday evening we had a pizza party thrown by Ruth where there some socializing, impromptu singing and some of us even managed to get in a little more weaving. Sunday morning we were back at our looms after Robyn's morning presentation and then after lunch she gave a wonderful bonus seminar on her creative fiber jewelry making ideas from the leftover bits and pieces of fibers and weaving samples. A great time was had by all. Here is Wimsey with my weaving in progress on Sunday afternoon. I will have to follow up with my finished sampler as I still have a couple of variations to weave and some finishing to do. 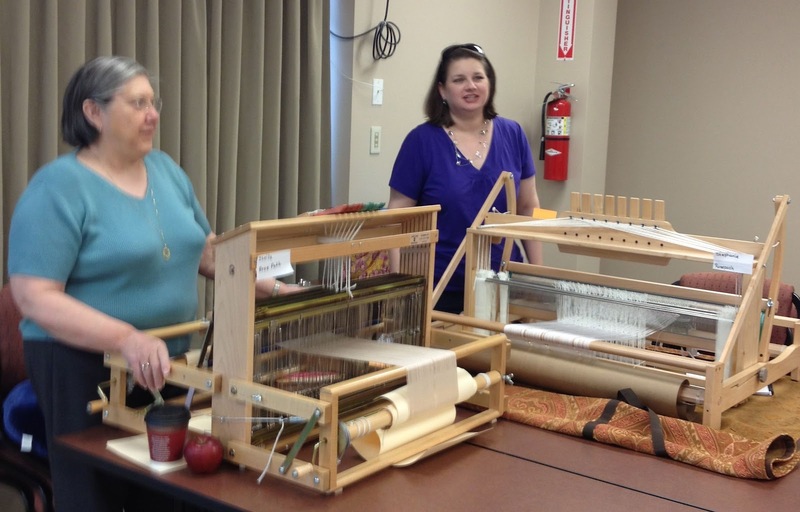 Another successful workshop and a memorable experience for all of those involved!